This old scanned photo of May 1993 shows green-liveried M1 plinthed at Ross. 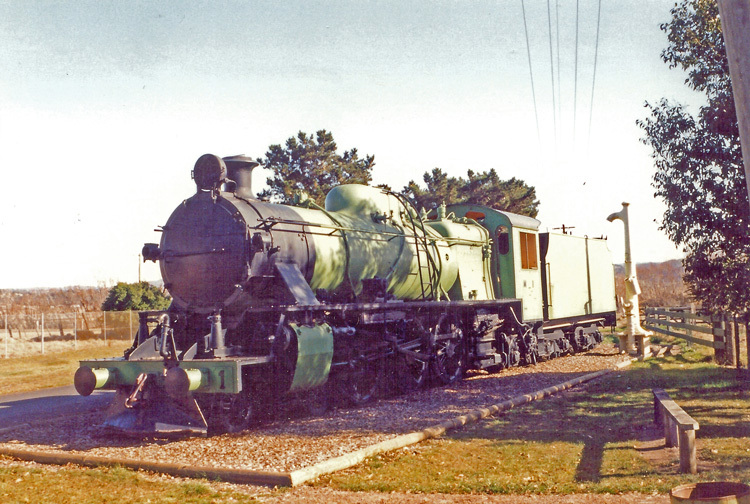 M1 was subsequently acquired by the Derwent Valley Railway and moved to their New Norfolk depot in May 2000. My visit to New Norfolk in April 2003 found M1 is stored in the yard at New Norfolk.